You can make your graphic novel ideas come alive. In this super-abbreviated version of our popular Comics For Writers Course, you’ll learn the basics of how comics work, and how it differs from writing, and from writing + illustration. You learn how pictures work, how pictures + text work, and what you or your artist needs to know! 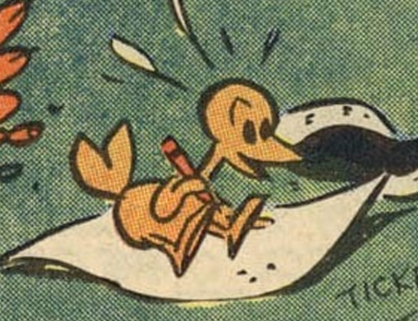 By learning the basics you can learn to make your graphic novel soar! Comics For Writers is an abbreviated version of our curriculum designed for scholars, historians, memoirists, journalists, storytellers and writers of all kinds looking to expand into graphic novels or short-form comics. 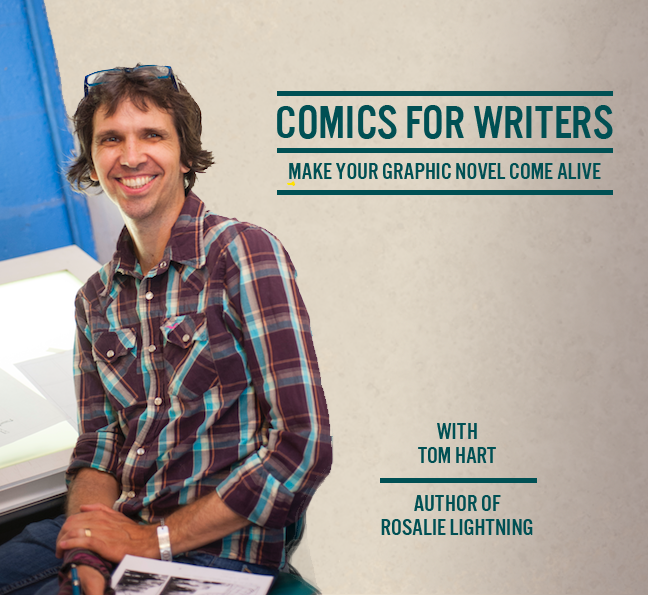 This is an online, continuous-running, self-paced course taught by Tom Hart, New York Times #1 Bestselling graphic novelist and founder of SAW—the Sequential Artists Workshop—in Gainesville, Florida. If you have a story that you’d like to tell graphically, Comics for Writers will teach you what you need to know to make the transition! Start any time and proceed at whatever speed works for you. Comics For Writers collects what I’ve taught for 16 years and smushes it down to digestible chunk, who are used to words and ideas, but just starting to work with images, visual narrative and design. I won't teach you to draw, but I'll teach you to plan the drawings, (whether those will be finished by you or someone else), to think about your visuals and to craft your story through comics. This course is self-paced. Start any time and proceed at whatever speed you like. Is this a self-guided course or is there a community aspect? This course is self-guided but includes access to a Facebook group of people working on this and other courses. There have been lots of great work posted already! Tom Hart will not respond to every post, or maybe he will! Where will the community be contained? Pens, pencils, whatever you’re comfortable with. Printer paper or sketchbook. You'll need at least one page of your own prose, or something you'd like to adapt anyway. What's the final outcome of the course? We will have completed 3 exercises and learned loads to get you on your way to mastering comics. How much of this is in the full Comics For Writers Course? I’d say this represents about 15-20% of the full course! In the other course, you’re getting loads more presentations, more insight, and more guided exercises. Can I get a discount if I decide to get the full Comics For Writers? Yep! When you complete this course, you’ll get a coupon for the full price of this course OFF the full version. I’d love to see you there! ALWAYS ENROLLING. Teacher input in SAW Group. Do you have good work waiting to be adapted to comics? This course helps you make that transition from prose to sequential art.